This one’s for the Sapphires, and boy are we bringing you the right sounds to put your party hats on and groove to that northeast monsoon. 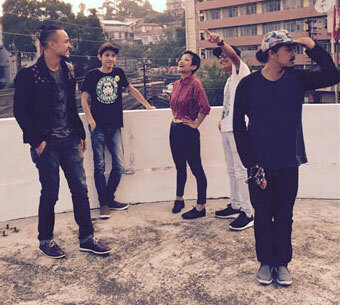 OOtO GARAGE : The band was formed with the purpose of spreading love and peace through music. This band comprises of Debra Martina Rynjah, a vocalist who started her career in music as a solo artist and later started the band along with Drummer Redeem S Pakma and Guitarist Suny Bosco Shadap. The band believes that music captures the emotions which words fail to articulate; it is a language that expresses the inexpressible, a voice of the voiceless. OOtO Garage tries to achieve that very essence of music through their own renditions of songs of various genres. In the past we’ve also had the pleasure having them perform with us as part of the 1st Recovery Friday Anniversary earlier in June. They will take over the stage duties at Cloud 9 on Friday the 2nd of September this month. BEST KEPT SECRET: Take a touch of Rock, a dash of Disco, a hint of Blues, a shout of Pop and a pinch of Electronica. Whisk them up real nice with four young lads who just want to make you sway, and you’ve got yourself Best Kept Secret! 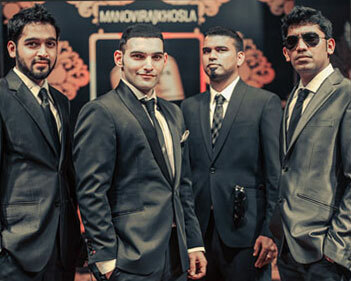 These talented and ambitious Bangalore lads are a favorite pick for many a Corporate as well private affairs. Having performed for the likes of Facebook, Samsung, Apple, Microsoft, Indian Premier League crowds and many more, their popularity is no secret at all! So come down, cheer and make merry. They’ll make you dance, they’ll make you scream, they’ll make jump and they’ll make you sing. Times of India has critiqued them as “The Hottest Band in India”. They are on for Recovery Friday at Cloud 9 this month on the 9th of September 2016. 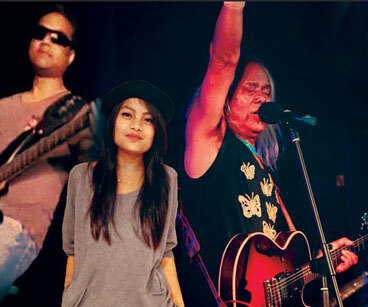 MEGHALAYA LOVE PROJECT: This ia a music project that the legend Lou Majaw started in the 90s and was one of his full fledged efforts in the music scene as a band leader. It did not last long but LOU MAJAW went on to become one of the biggest names in music of North East India and the whole country all together. Looking to shake things up this year as gig season is approaching, Lou Majaw is bring back The Meghalaya Love Project to life and will be playing a debut show at Cloud 9 on the 23rd of September 2016 as part of our weekly series Recovery Friday. You dont want to miss this one and you are sure to be bumping into and rubbing shoulders with prominent people in the Shillong Music Scene for this one. Cheers to bringing back good things to life !! 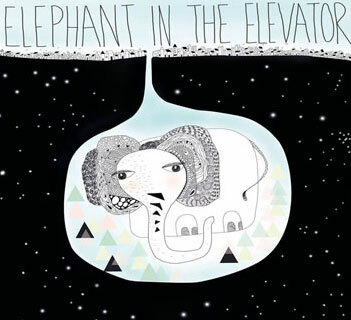 ELEPHANT IN THE ELEVATOR: There might not be much about this music genius online and we are sure you have never even heard of him. 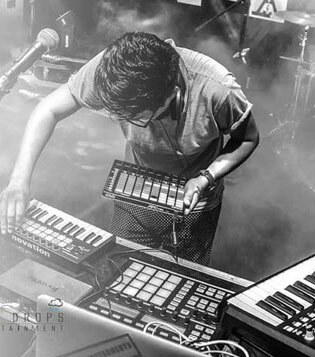 He hails from Guwahati and is making some of the freshest sounds in the market. One of the things we do at Rockski Group is we look for fresh and unexposed talent and present it to you. We first heard the song ” A cloud shaped just like you” by this artist and it is highly reminiscent of Siddharth Khosla’s vocals of Goldspot fame. The song builds on a very indie and alt rock sound with a mellow vocal tune that can grown an any music listener with a taste for easy listening in todays hustling and bustling lifestyle. Try to make it for this one, it will be very interesting as Ron takes on the Recovery Friday stage at Cloud 9 on the 30th of September 2016.